Area Appliance Service has been a family owned and operated company in the Buffalo Grove and Arlington Heights, IL areas for over 5 decades. Our team has grown into one of the most profound and liked appliance repair companies of Maytag, Whirlpool, Kenmore, Amana and other major appliance brands. Our repair technicians have expanded their skills to match the customers’ needs over the years and has adapted to repair more appliances such as refrigerators, clothes dryers, washing machines and even more. The Area Appliance Service team of repairmen fights hard to provide first rate appliance repair along with excellent customer service to you and your family in time of need. We truly care and want to help you. We know our residential appliance brands in and out and can repair any problem with your major appliances the same day. Also, here at Area Appliance, we will discuss with you the best and most cost effective route to take in regards to your personal appliances and repairs. If you’re better off buying a new or different home appliances, we won’t waste your time and money trying to fixing it. Our repairmen will let you know up-front because we are all in this recession together and will get through it like family. a HUGE corporation that only sees you as a dollar sign and forgets about you once they leave. provides skilled, factory trained, professional technicians at an affordable rate. on time for a repair call, NOT a 4+ hour time frame keeping you waiting around all day. emergency appliance repairs to help you when you need it most. major home appliances such as fridges, freezers, dishwasher and more. 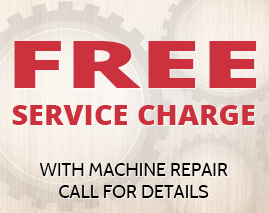 charges and clearly explain what is wrong with your appliance before we repair it. fully stocked with commonly used appliance parts so we can repair it in the 1st trip. Maytag, Whirlpool, Kenmore, and Amana appliances, just to name a few. 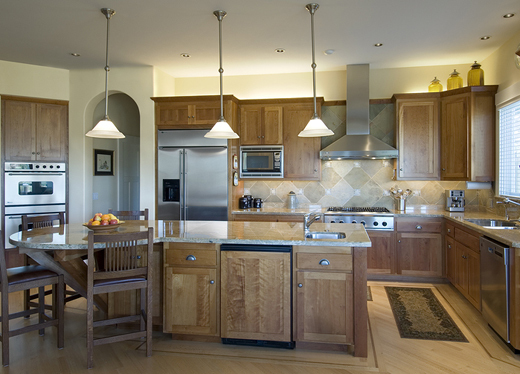 Area Appliance Service Inc. understands the economic hardship people are going through and offers discounts, coupons, and special promotions for necessary repairs that can help get your life back on track. Don’t risk a potential fire when your stove or oven is leaking gas; Stop wasting time and electricity by running your washer and dryer several times per load to get your clothes clean; Save money by not having to toss spoiled food away, because your refrigerator or freezer won’t stay cold. We are here to HELP! Quick response to your appliance repair needs, offering 24/7 emergency repairs, with a skilled and factory trained professional repair technician. Our labor rates are low and part costs is affordable.